Tempeh is one of those “healthy” foods with a bad rap. But with most foods— it is how you prepare it. Tempeh is packed with protein, and is very easy to prepare. It has this delicious nutty flavor, that when pan fried in coconut oil, is remarkable. I like to dress my tempeh with dijon mustard and sauerkraut. 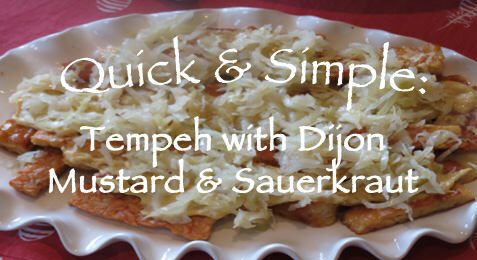 You can find the recipe for Tempeh with Dijion Mustard & Sauerkraut here!